We are delighted to offer lodging for your pet while you are away on vacation or business. Please call in advance to make a reservation or submit a reservation request. You are welcome to print the boarding authorization in advance and bring it with you. We are happy to provide additional care during your pet's lodging stay. We have a doctor in the hospital daily to monitor the health of your pet and contact you if concerns arise. Requested examinations and vaccinations can be handled while your pet stays with us. 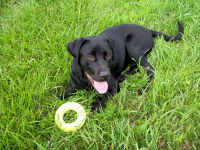 We are pleased to use your pet's bedding, food, treats, and toys if you prefer. We also welcome calls, texts or emails while you are away and enjoy providing you with updates regarding your pet's stay. Click here to print our boarding authorization.